Enterprise value is mentioned a lot in investment circles as a valuation measure. What is it, though, and why is it important? How does it help you to weigh up an investment or compare one investment against another? Enterprise value tells you the true value of the business. We often advise investors to think of buying stocks as if they were going to buy the whole business, including its debt or cash. If you were to actually buy the whole business then Enterprise value is extremely important to you (perhaps more important than the market capitalization). This is because the market capitalization only tells you the value of the common equity - it is simply the market price multiplied by the number of shares in issue. Enterprise value is useful because it takes into account all claims on the business. 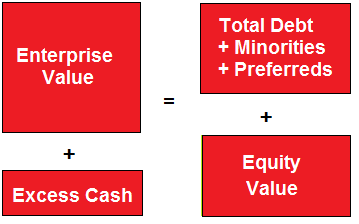 To work out the enterprise value, take the market capitalization and add all the debt (including preferred shares, pension deficits and minority interests). If the company has net cash then the Enterprise Value is the market capitalization minus the cash. 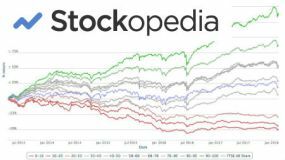 Why Enterprise Value over Market Capitalization? Enterprise value can be more useful because market capitalization leaves out too many details. For example, you may sometimes hear of a company being bought for a token amount (say $1 or £1), even though the company maybe generating millions or billions in revenue and even some operating profit. The reason why it is sold so cheaply is because it is unable to service its liabilities (debts) and so often there will be a "haircut" (or writedown) of the debt amount. 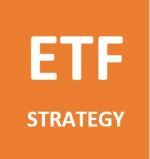 If you see a cheap stock that trades on a very low multiple P/E (price to earning ratio) then it is imperative you understand the Enterprise Value otherwise you could fall into a value trap. The use of Enterprise Value is probably best illustrated with an example. Here we look at two companies with the same operating profit but one (company A) is financed by a lot of debt and the other is all equity. 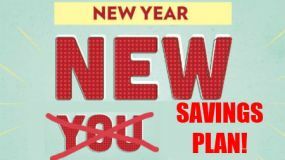 We have used an interest rate of 5% and a tax rate of 20%. 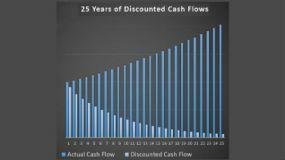 If you were considering the two companies above as possible investment opportunities and just looked at the P/E ratio then you'd think company A was far cheaper (with a 4.17x P/E ratio), but when using the Enterprise Value, you can see that they are on the same valuation and company B is actually less risky as it doesn't have any debt. 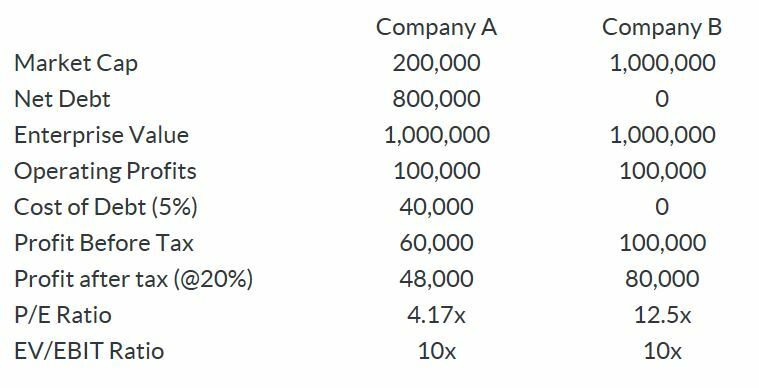 Company A is more leveraged so should produce greater returns if the business grew its operating profits yet it would also produce greater losses in an adverse scenario. Enterprise Value can be a very helpful metric to the investor. We think it should help you avoid value traps where you could buy highly leveraged companies that contain lots of debt. You should be aware of the Enterprise Value of any investment you make and factor that into your calculations of a company's value. 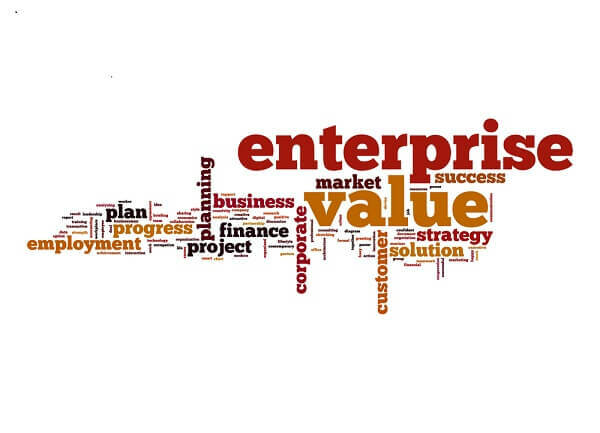 For more information about Enterprise Value, click here.